Just like Mark Twain before him, F. Scott Fitzgerald both literally and symbolically defined an age in American history. 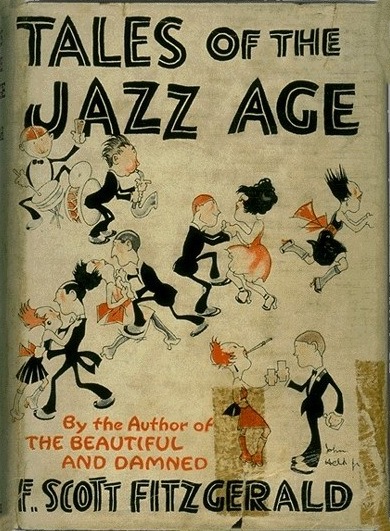 While Twain coined “The Gilded Age” to describe late 19th-century America, Fitzgerald popularized “The Jazz Age” for the 1920s. Although Fitzgerald’s name is inextricably linked to that era of bootleggers, speakeasies, and flappers, his fiction is so much more than a historical relic. The lyricism of Fitzgerald’s prose and the profound themes his works explore have earned him a spot alongside greats like Henry James, Faulkner, and Hemingway. To get a better understanding of the man behind the greatest “Jazz Age” novels, let’s take a deeper look at Fitzgerald’s life and his famous marriage to Zelda Sayre. Francis Scott Fitzgerald was born into a wealthy family in Saint Paul, Minnesota, in 1896. 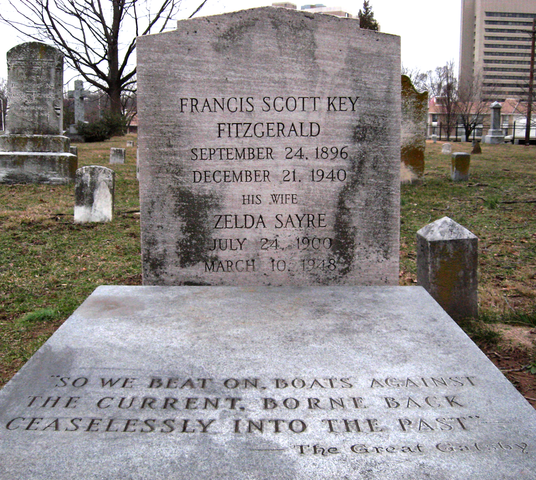 Believe it or not, the Fitzgeralds were descendants of Francis Scott Key, the famous composer of “The Star Spangled Banner” (hence Fitzgerald’s forename). Although Fitzgerald was proud of his father’s aristocratic status, he also identified strongly with his Irish ancestors who came to America fleeing the Great Potato Famine. This mix of the grandeur and harsh reality in Fitzgerald’s bloodline would give him a unique perspective on the American experience. In his teens, Fitzgerald wrote his first published work in the St. Paul Academy newspaper. When Fitzgerald turned 15, he moved to New Jersey to attend a private Catholic school. 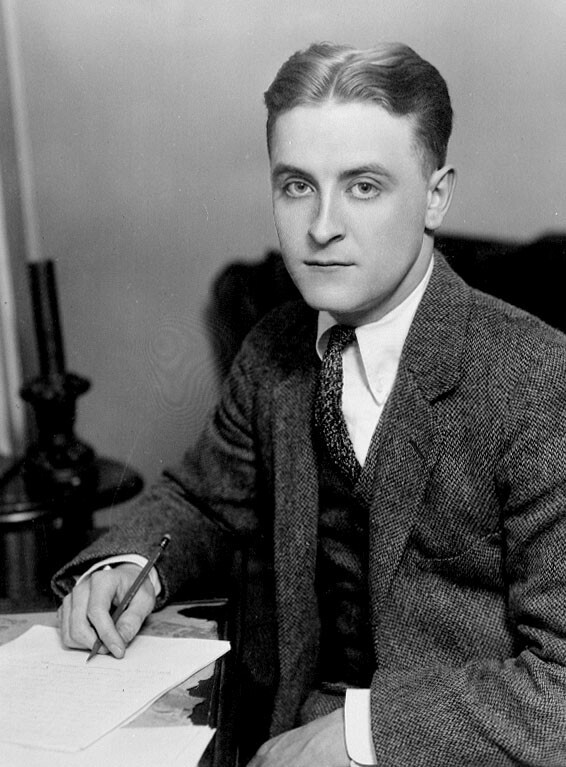 A few years later, Fitzgerald was accepted into Princeton University where he started writing for the school newspaper and joined many prestigious clubs. Unfortunately, Fitzgerald started drinking heavily while at Princeton, a habit that would lead him to his early grave.. While at Princeton, Fitzgerald met the gorgeous Ginevra King. King was from a wealthy Chicago family and was considered one of the most desirable women in World War I America. As Fitzgerald was unsuccessfully pursuing King, he neglected his studies. By 1917, Fitzgerald was forced to leave Princeton and take a position in the U.S. Army in Montgomery, Alabama. It seems Fitzgerald got over King rather quickly while in Montgomery. Just a few years into his military stint, Fitzgerald fell madly in love with the daughter of a prominent Alabama judge: Zelda Sayre. In 1918, Fitzgerald was discharged from the military and decided to propose to Zelda. Zelda tentatively agreed, and Fitzgerald went off to NYC to try his luck as a writer. Unfortunately, Fitzgerald was only able to find work as an advertiser in Manhattan’s west side. His low salary wasn’t enough for Zelda’s luxurious lifestyle, so she suddenly broke off their marriage proposal. In a last ditch attempt to raise the money he needed to win Zelda’s heart, Fitzgerald returned to St. Paul and worked for weeks on his very first novel: This Side of Paradise. Luckily for him, This Side of Paradise was published in 1920 and became a huge bestseller. Once the money started rolling in, Zelda agreed to marry Fitzgerald in NYC’s St. Patrick’s Cathedral. 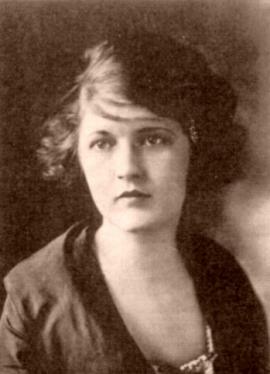 One year later, the couple had their only daughter: Frances Scott Fitzgerald (aka “Scottie”). This Side of Paradise obviously draws on Fitzgerald’s own romantic woes and career anxieties. The lead character, Amory Blaine, is an ambitious writer from the Midwest who attempts to make a name for himself in Princeton. He also tries unsuccessfully to woo two women and is later forced into the army. At the time, the novel was read as a commentary on the struggles the “Lost Generation” of WWI soldiers faced in 1920s America. 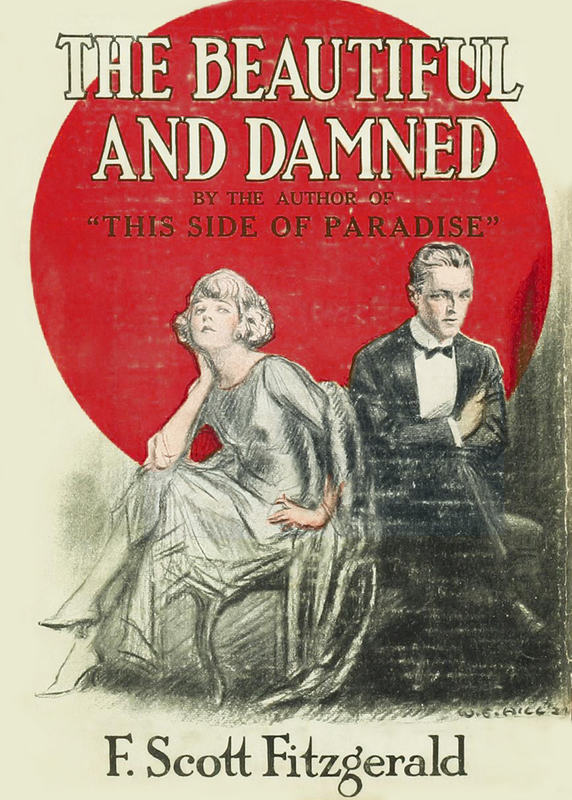 Fitzgerald quickly followed up the success of This Side of Paradise with The Beautiful and Damned. Published in 1922, this novel tells the story of an ambitious writer, Anthony Patch, and his wife, Gloria. In sublime prose, Fitzgerald analyzes how the unbridled hedonism of 1920s NYC destroys the Patches’ marriage. It’s not too hard to see Fitzgerald’s fears over his own marriage in this work. The Fitzgeralds decided to move to France in 1924. They split their time between Paris and the French Riviera and became well known in the American expatriate community. Despite his hard partying, somehow Fitzgerald found the time to write his greatest texts during this period. His most famous work, of course, was The Great Gatsby (1925). The Great Gatsby focuses on the mysterious millionaire Jay Gatsby who desperately tries to rekindle romance with his old flame Daisy Buchanan. 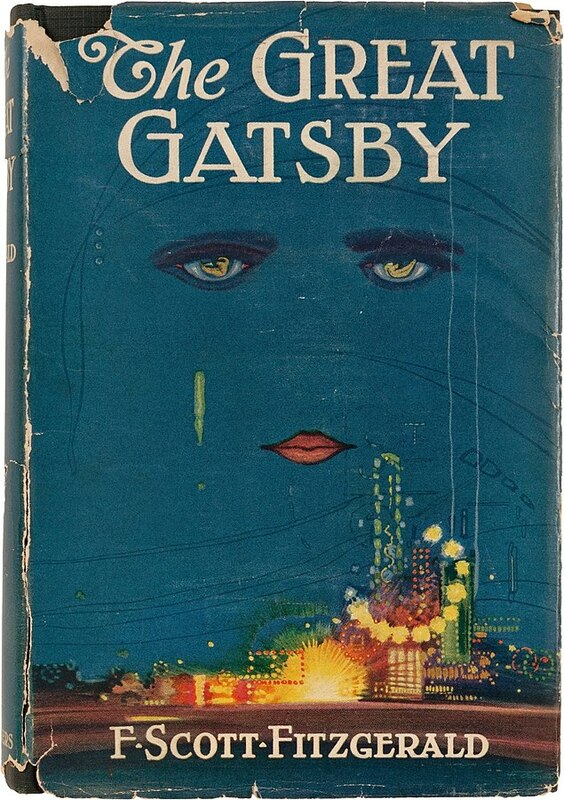 Sadly, Daisy has already married a man named Tom Buchanan, an abusive husband who comes from “old money.” The novel is told mainly from the perspective of Yale-educated bondsman Nick Carraway, one of literature’s greatest unreliable narrators. During Fitzgerald’s lifetime, The Great Gatsby was a huge flop. It wasn’t until after WWII that readers around the world hailed this novel as a masterpiece. All the glitz and grime of the Prohibition Era is in this short novel. Most critics see this work as one of the most intense critiques of the American Dream ever written. The 1930s marks the start of the Fitzgeralds’ long descent into madness and despair. In 1930, Zelda had her first schizophrenic breakdown. The couple would quarrel weeks on end, and Zelda suddenly started practicing ballet all day long. Zelda’s psychosis became so grave that she had to be admitted into a sanatorium. Throughout this tumultuous time, Fitzgerald used liquor and fiction to cope. His next novel, Tender Is the Night, details the psychological breakdown of a psychiatrist after he decides to marry one of his patients. It’s obvious to see parallels to Fitzgerald’s own life in this final novel. Just like The Great Gatsby, Tender Is the Night was only hailed long after Fitzgerald passed away. In a desperate attempt to make money, Fitzgerald moved to Hollywood and started working as a scriptwriter. His only true companion during these last years was Sheilah Graham, a Hollywood columnist who tried to wean Fitzgerald off of booze. During this time, Scottie attended Vassar College. She would eventually become a journalist and a Democratic strategist. Zelda remained in a mental institution in North Carolina for the rest of her days. Sadly, a great fire erupted in the institution in 1948 and Zelda was caught in the blaze. Fitzgerald’s last major project was a novel about Hollywood life called The Last Tycoon. He only finished half of the novel before he died of a heart attack at the age of 44. Many literature professors believe that had Fitzgerald finished this last novel it would’ve rivaled the brilliance of The Great Gatsby. Both Fitzgeralds are buried at Old Saint Mary’s Catholic Church in Rockville, Maryland. We’re still struggling to come to terms with the lofty ideals and harsh realities of American life that Fitzgerald painfully details in his novels and short stories. Both Fitzgerald’s life and work continues to remind us of the dangers of unbridled materialism and the fragility of the human heart. Interested in learning more about F. Scott Fitzgerald? Then check out Princeton University‘s Department of Rare Books and Special Collections. The Ivy League school still houses numerous manuscripts and souvenirs from Fitzgerald’s time there.